Two words; cat fight. Whoever came up with that phrase cannot possibly be alive and if he (must be a he) is, he is under heavy security right now. If I happened to be thinking along his shallow dismissible lines he must correlate the woman’s stealth like nature to that of a feline. Cats purr when you sooth them, chin up when you pet them and claws out when you provoke them; women do not operate this way. Women will give you any reaction whatsoever when you cuddle them, frisk them, ignore them and aggravate them. We operate on a more complex level compared to the cat. Point is, us females do not want to be labeled in any type of way so unless you have nine lives; Keep walking bruh. With that misrepresentation set straight, let’s get into the real deal. A story about two men, a lady and one coffin. 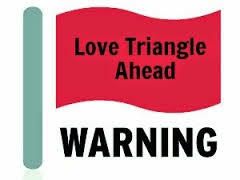 Yes, in the twenty first century love triangles usually have two males and a female and in certain occasions it’s a parallelogram. I have nothing against females and their affinity to multiple men to score at, in point of fact I am for it. For so long women have been mistreated and belittled by men thus for them to have a dose (scratch that a pharmaceutical) of their own medicine then I dare a doctor to stop it. Play on my lovelies, outline the game for them. However keep in mind that this is just like Sport Pesa; nobody goes home the way they left. Back to the coffin, two innocent men and one lethal woman. I have seen real deep love, probably lived it at some point but it would be a lie if I say the side dude died for love. I mean who do you all think you are? There is no Romeo, there is no Jack Dawson (Leonardo DiCaprio) so let’s all come back down on earth and be Juma and Onyango. Oh wait Juma killed Onyango already. Every situation has its own complexities, there is no black and white. And if there is find out whether it’s charcoal black and if it is really white or Navajo white. Because of so many alterations, I will not delve into the nitty gritty of how the murder came about. Also, I did not get the unbiased story from the men in blue. Typical. Nevertheless, it’s so unfortunate that one does not get to live to their full potential before being laid to rest. Condolences to the family and the girlfriend. Advice to everyone in an uncomfortable situation whether it’s a love triangle, pyramid, square and so on, DO NOT TAKE ANYONE’S LIFE EVEN YOURS; like that guy Mbaratha says it; it’s never that serious! Previous articlePHOTO SHOOT! PHOTO SHOOT!